Today is National Chocolate Cupcake Day so I had to put that in a cocktail, right? This little craft chocolate gem is the result! 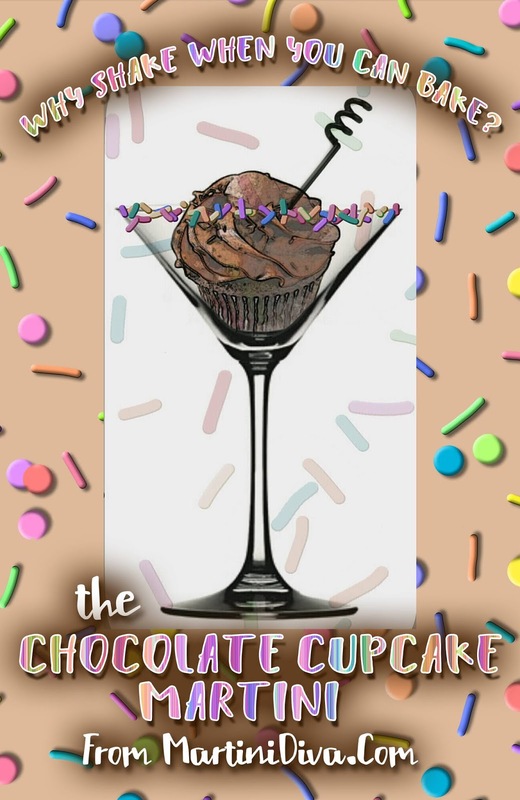 Rim your glass with some of the chocolate frosting then dip in the rainbow sprinkles and place your glass in the freezer to chill. Add the cake vodka, chocolate liquor, coffee liqueur and the chocolate bitters to a cocktail shaker filled with ice and shake until chilled. Add the Champagne, stir gently, then strain into your chilled glass and serve. Enjoy and share with another chocoholic! P.S. For you non chocoholics, try my Vanilla Cupcake Martini or my other Cupcake Cocktails.